After completing the research for my new series, MTG Finance Growth Stocks, I put my money where my mouth is and dove in on a few of the specs that seemed most likely to pop sooner or later. Some of these cards were already on the move, but the exposure this week seems to have helped push foil Jace and Hangarback up to the next plateau. Hangarback Walker is exhibiting many of the early signs of a multi-format superstar, showing up in a myriad of Standard decks and enjoying early experimentation in Modern, Legacy and even Vintage. As a colorless creature with a flexible casting cost and synergies with +1/+1 counters, artifacts, sweepers and resiliency against point removal, the card has the potential to show up in a ton of decks moving forward. A strong role player with little reason to ever be banned, Hangarback was one of my top picks for Modern foils likely to gain value ahead of the market average. The card has now gone through a buyout and seems to be settling between $40-50 for the time being. 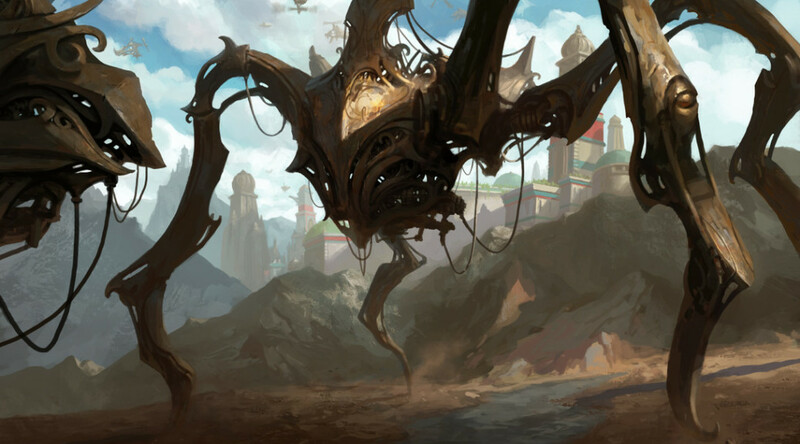 Like Walker, Jace, Vryn’s Prodigy has taken the Magic world largely by surprise and it has proven value in both Standard and Modern with hints that it may even see play in Legacy or Vintage. As a summer set mythic that is exceeding expectations, targeting the foils was a no-brainer from my perspective. Now that the card has spiked feel free to unload for value if you can, or simply hang around for a year and hope for further gains. Evolutionary Leap foils are a pet card I expect to end up in the $30-40 range within a year or two when someone figures out how to break the card in Modern or Legacy and wins a tournament with it. “Whisperwood Elemental was the most promising mythic I found in my review of Fate Reforged this week. I tend to like buying cards even less expensive than this, but I like the card enough to speculate on a playset. Getting additional Sarkhans is representative of my ever-increasing belief that this card will get somewhere above $10 this fall. There are still more on my list and I hope they get sent. I was on the fence about Wingmate Roc, but Travis’s commitment to the card this week convinced me to pick up a couple sets. Thanks, Travis. I only discovered Gilt-Leaf Winnower wasn’t $5 like ten minutes ago. I threw a playset up and two were committed before I even finished drafting my section of this article, so there’s some additional content for you. Supply of Magic Origins won’t be high and this is a really good card. I like it quite a bit at under a dollar and may go deeper. This week I picked up quite a few cards. 8 thoughtseize at 17.50 each. 8 foreign (mixed languages) polluted delta and 9 flooded strand foreign at $10 each. I sold 4 Jace, vryn’s prodigy for 149.99 (ebay) purchased for $69.99. 2 Playsets of See the Unwritten for 26.99 each. This was my marked sets. I had picked up 48 copies when they were $1.30 each. I put two playsets on ebay and priced them higher than everyone. When the two playsets sold it let me know it is time to get ready to post the others. I have one foil playset that I picked up for $3 each that should turn a pretty good profit. I have preorder a case of Russian battle for zendikar. The distributor asked my local store if he wanted a case he usually can only get me one booster which I rat hole away. But at 114.99 a box I think a Russian booster box could see extreme growth with the new foil, full art lands. Fullart Foil is only on English.. Didnt u see at the wizards? They say it only ENGLISH language even you open Russian japannese and other language.. Anyway in where u get that 10$ polluted delta n flooded strand? Do you still have the “super collection”? Or did you trade/sell most of it already? I’ve got some Alpha/Beta and Beta power I’m looking to trade. Not too much this week…. Side note: I noticed See the Unwritten is being bought out, and some folks are asking if they should sell soon. I really think this is a hold until PT BFZ. The card could really explode after that tournament if it breaks out in Standard, which it should. How about you guys? Anyone else feel the urge to speculate on Landfall in the upcoming block. Animist’s Awakening seems like a good card to have around to sell into some future hype. Don’t miss that train! As for selling… I got rid of a Den Protector for $8 and some other bulk cards I don’t remember. My main thinking on speculation is seemingly centered around landfall being just as good as it was back in the day. I’m surprised I don’t see more talk about specing for it. I decided to get a couple of low-risk foils that look good long term. I also picked up a playset of non-foil Rattleclaw Mystic at $1.90 each because I think it’s going to be an important card come fall. Got 5 Hangarbacks, 2 foil and 3 non, $80 for the lot. Most of my picks aren’t picks but touching up some Legacy decks and snap grabbing what I believe to be good long term holds. The foil MUD stuff almost polishes that deck off. The Hangarbacks were needed for it as well. I got 1 at prerelease and immediately traded for another foil that weekend as well. I purchased 2 large lots of FB as well over the last 2 weeks for a decent price but it’s too consuming. Did a fair number of trades as well. A gentleman was looking to finish a Legacy Burn deck. His binder didn’t have much left so I he gave me 5 Conspiracy packs to cover his balance. Of course since I have an extreme gambling addiction I cracked them. I should be at SCG Cincinnati bindered up if anyone is looking to deal. This is my favorite part of the site and this series of articles is what I most look forward too. I really wish it was beefed up more, and expanded upon. Its too short, and not enough talk about speculation and details. I’d like to see it be more of a “big deal” on the website and have a lot more commentary surrounding it.